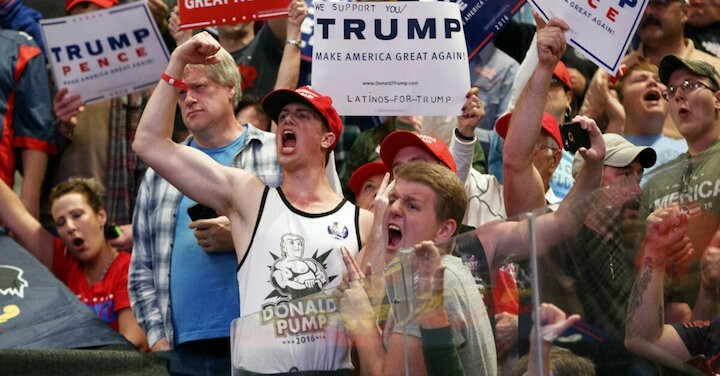 With Donald Trump’s impeachment fast approaching, his supporters — mostly NRA members, white supremacists, conservative Christian hypocrites, and overzealous yahoos from Red States — are preparing for a civil war. 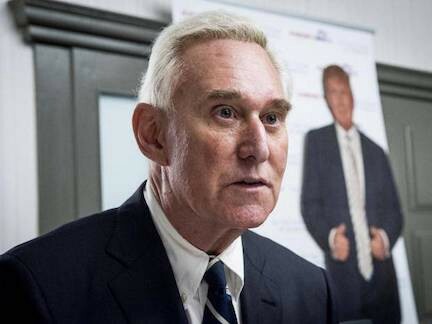 According to Roger Stone, a longtime Trump supporter and certified nutcase, there will be an ugly backlash if any attempt is made to oust the current president. Ominous as this sounds, people who study yokels and rubes say there are 8 things you can do to keep yourself and your family safe in the event that gun-toting rednecks drive through your neighborhood in their pickup trucks, hootin’, hollering and honking too loudly in an effort to defend the POTUS they love. 1. Park a Nascar in your driveway. 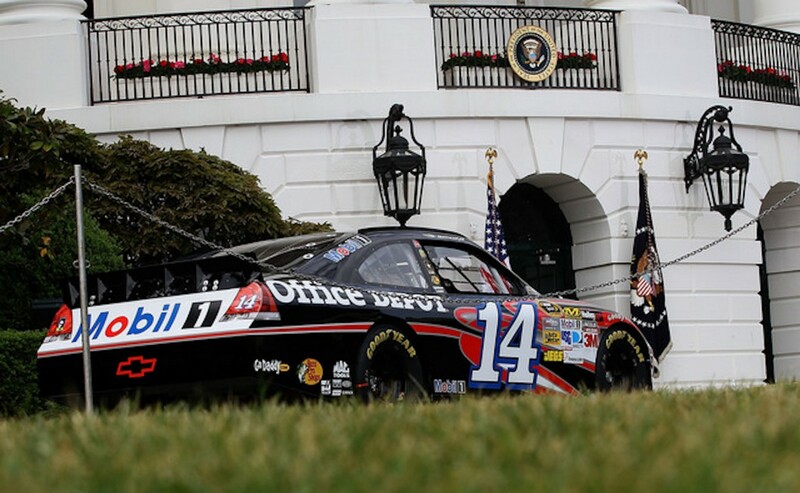 A great way to throw rednecks off your scent is to leave a Nascar Chevrolet, Dodge or Ford parked in your driveway. Trump supporters are big fans of Nascar, so they’ll think you’re one of them. Then, when the caravan of country bumpkins has passed through your town, you can replace the Nascar automobile with your imported Toyota Prius again. Can’t find a Nascar? A Ford F100 pickup truck might work, too. 2. Scatter shotgun shells on your lawn. This is another proven way to keep rednecks from accurately determining your political loyalties. Tossing used shotgun shells on the grass in front of your home says that you, too, like to take potshots at passing vehicles and traffic signs and it will cause the passing hillbillies to waver in their attack on your family. This would be your chance to escape out the back door. 4. 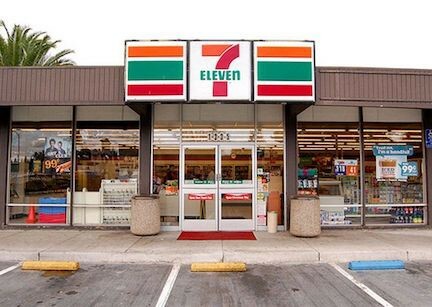 Hide in a 7–11, Circle K, or Bucky’s Express convenience store. Most hicks get their vital supplies from local mini marts like 7–11, Express Lane or Dandy stores. Obviously, they are not going to attack you in the place where they get their beef jerky and Budweiser. So just wander the aisles at any 7–11 when a redneck raid is under way, nibble on some Twizzlers and stuff a package of Oscar Mayer cold cuts under your arm and you can rest easy. 5. Blast Ted Nugent and Kid Rock music out your front door. Donald Trump, Ted Nugent and Kid Rock go together like booze, bullets, and butts. So when the dimwit goobers approach your house, shotguns in hand, just throw open your front doors and blast Cat Scratch Fever at full volume and you’ll have made allies of toothless enemies. Music by David Allan Coe, Toby Keith, and Trace Adkins will work, too. 6. Dig half a dozen mud holes in the street outside your home. Mud holes are basically amusement parks for hillbillies. Once they hit a mud hole in their pickups, they’re happy for hours. If you dig several near your home, the invading apple knockers will entirely forget why they came and get caught up driving through the mud hole. This is another opportunity for you to slip out the back door. 7. Put some roadkill on the barbecue and let the smell waft through the neighborhood. Squirrel, racoon, rabbit, deer and wild boar are irresistible roadkill favorites for people ready to fight for Donald Trump. A hungry hillbilly cannot think straight, and certainly cannot think about killing you, when there is the smell of roast squirrel coming from the grill. And you don’t have to stick around to eat the roadkill with your white Christian guests, either. Just start the barbecuing process then, once again, creep out the back door and let the rubes eat in peace. 8. Answer the door wearing camo.The invading rednecks will be looking for people dressed in Aeropostale, Gap, and Anthropology clothing to apprehend and harass. Fool them by answering their knock at the door dressed head to toe in camo. 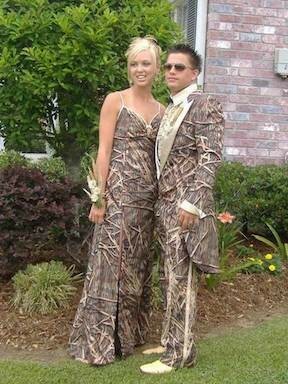 Camo clothing is the national uniform of hillbillies. 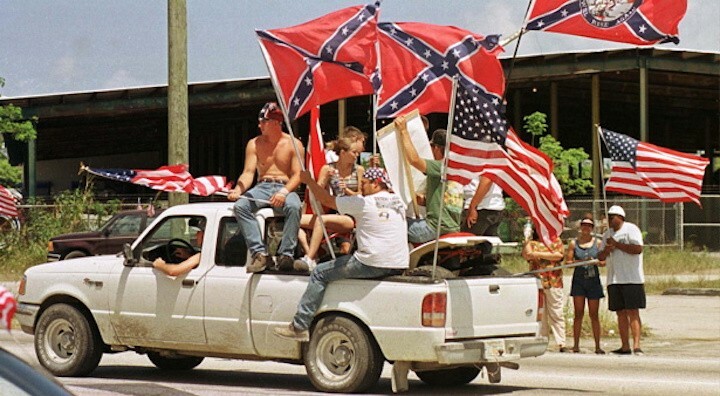 Finish your outfit off with a red bandana around your neck and you’ll be untouched by redneck aggression, guaranteed.